The Honorable Lady Keswick is Chancellor of the University of Buckingham. She succeeds Baron Tanlaw of Tanlawhill (Simon Mackay) who stepped down in March 2013 after two years service. Previous Chancellors have been Sir Martin Jacomb, Lord Hailsham and Baroness Thatcher. Lady Keswick occupies the intersection between policy-making and education, and she has long been a prominent advocate of higher standards in education and of autonomy in education. Between 1989 and 1995 she worked as a policy adviser at the Departments of Health, the Department of Education and Science, the Home Office and HM Treasury. Between 1995 and 2004 she was the Executive Director of the Centre for Policy Studies, which is the think-tank that was founded by Margaret Thatcher and Keith Joseph. Since 2004 she has been a Deputy Chairman of the Centre for Policy Studies (CPS). 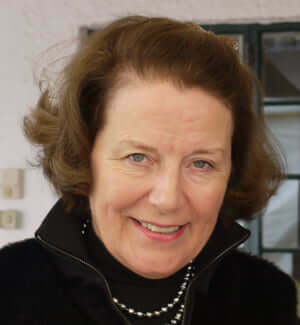 Lady Keswick has contributed to, commissioned and published over 100 public policy pamphlets on the European Union, the Constitution, law and order, education, health, tax and regulatory affairs and women’s issues. She has written on these subjects for most of the national newspapers, and has given interviews on radio and on television. She has an interest in foreign affairs and travels extensively, particularly in China and the Far East. A ceremony to install Lady Keswick as Chancellor took place in March 2014. Read more.